The earliest seeds of visualization arose in geometric diagrams, in tables of the positions of stars and other celestial bodies, and in the making of maps to aid in navigation and exploration. The idea of coordinates was used by ancient Egyptian surveyors in laying out towns, earthly and heavenly positions were located by something akin to latitude and longitude at least by 200 BC, and the map projection of a spherical earth into latitude and longitude by Claudius Ptolemy [c.85–c. 165] in Alexandria would serve as reference standards until the 14th century. 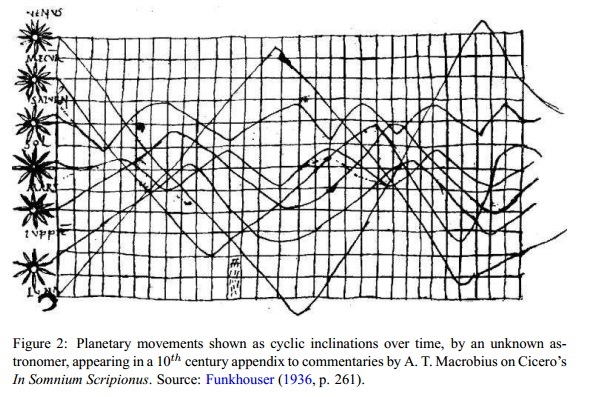 Among the earliest graphical depictions of quantitative information is an anonymous 10th century multiple time-series graph of the changing position of the seven most prominent heavenly bodies over space and time (Figure 2), described by Funkhouser (1936) and reproduced in Tufte (1983, p. 28). The vertical axis represents the inclination of the planetary orbits, the horizontal axis shows time, divided into thirty intervals. The sinusoidal variation, with different periods is notable, as is the use of a grid, suggesting both an implicit notion of a coordinate system, and something akin to graph paper, ideas that would not be fully developed until the 1600–1700s. The earliest graphical depictions of quantitative information. In the 14th century, the idea of a plotting a theoretical function (as a proto bar graph), and the logical relation between tabulating values and plotting them appeared in a work by Nicole Oresme [1323–1382] Bishop of Liseus (Oresme, 1482, 1968), followed somewhat later by the idea of a theoretical graph of distance vs. speed by Nicolas of Cusa. By the 16th century, techniques and instruments for precise observation and measurement of physical quantities, and geographic and celestial position were well-developed (for example, a “wall quadrant” constructed by Tycho Brahe [1546–1601], covering an entire wall in his observatory) Particularly important were the development of triangulation and other methods to determine mapping locations accurately (Frisius, 1533, Tartaglia, 1556). As well, we see initial ideas for capturing images directly (the camera obscura, used by Reginer Gemma-Frisius in 1545 to record an eclipse of the sun), the recording of mathematical functions in tables (trigonometric tables by Georg Rheticus, 1550), and the ﬁrst modern cartographic atlas (Teatrum Orbis Terrarum by Abraham Ortelius, 1570). These early steps comprise the beginnings of data visualization. It is common to think of statistical graphics and data visualization as relatively modern developments in statistics. 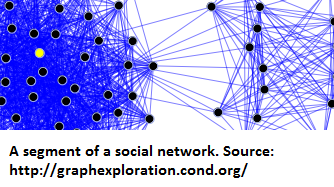 In fact, the graphic representation of quantitative information has deep roots. These roots reach into the histories of the earliest map-making and visual depiction, and later into thematic cartography, statistics and statistical graphics, medicine, and other ﬁelds. Along the way, developments in technologies (printing, reproduction) mathematical theory and practice, and empirical observation and recording, enabled the wider use of graphics and new advances in form and content. This chapter provides an overview of the intellectual history of data visualization from medieval to modern times, describing and illustrating some signiﬁcant advances along the way. It is based on a project, called the Milestones Project, to collect, catalog and document way. It is based on a project, called the Milestones Project, to collect, catalog and document methods to analyze and understand this history, that I discuss under the rubric of “statistical historiography. We tend to think that the technology is a quite recent development, but the truth is that it comes from the beginning of the human history. It has always been a crucial factor for the social change and for the change of our lives. 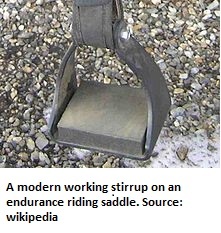 Inclusive relatively simple inventions such as stirrup. What reality lies beneath this story which is relevant for market research? The rapid social change produced by new technology challenges our society as a whole, our society´s organizations and our everyday life. 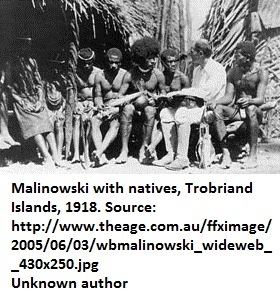 The primitive society was simply organized: tribes, low ranking (hierarchical), barter base economies and perhaps some differences regarding gender and age. As new technologies were emerging, as the example of stirrup, society is getting more and more complex, more hierarchical. Spinning jenny, steam engine and many other inventions encouraged strong changes. Industrial revolution affected greatly European and American society. The rapidness of the changes over the last two centuries has increased exponentially. The estates of the middle age gave way to social class from the Marxist viewpoint. 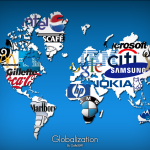 In recent decades, the Capitalism-communism antagonism gave way to the so called “globalization”: international integrating, multinational corporations, the dissolution of “old” social inequalities from the industrial society; the emerging subcultures, lifestyle and way of living, consumption, the rise of the Internet and the “network society”, but also climate change. As a result, socities become more complex and all the countries over the world become economically and culturally interdependent. The 2008 crash in US eventually led and still lead to recession in most Western countries, any ecological catastrophe in Asia could eventually affect us; immigrants from all over the world habit the more and more dense urban areas. And no society, no organization can scape from this reality. Governments, countries, but also companies and other organizations, as well as families and ourselves are constantly challenged by these rapid changes. So, why is market research needed? As a manager, researchers or consultant, the rapid social changes will constantly chal lenge your organization. We are bombarded with messages that society keeps changing and technology keeps developing faster and faster, making extant professional knowledge obsolete at the speed of lighting. In conclusion, change is ongoing, and every issue in a company is exposed to change or the threat of change in the near future. Personnel, customers, government, environment, investors and suppliers´ relations might not be a problem when a company is doing well. But as “time are a-changing” such relations must be assess continuously. Sometimes, intuition based decision making is not enough nowadays to lead a company in the right direction. More systematic approaches are required. Corporatte strategy, marketing strategy, organizational structure, business process reengineering, mergers and acquisitions, financial management, downsizing, outsourcing, relationship marketing, alliances, globalization and green policies may and must generally be based in any kind of previous research. Oliveto, Guillermo (2008). Market Research Explained. ESOMAR. Although the meaning of research has been addressed in a previous post, suffice it to say here that it is “a detailed study of a subject, especially in order to discover (new) information or reach a (new) understanding”. It is important emphasize that research has to do with discovering new knowledge and improving our understanding of some specific topic. For this reason we can find as many sorts of research as subjects. 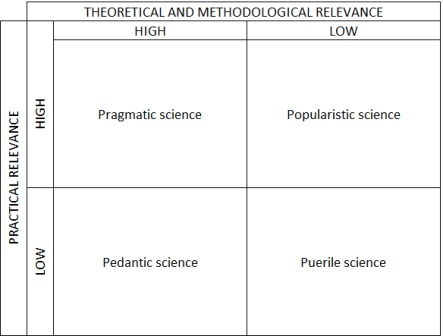 Social research, economic research, biological research and, of course, market research, among others. But what does exactly market research mean? A simple glace to the meaning of “market” will make easier to understand the exactly meaning of the term. According to Cambridge dictionary market may refer to “the people who might want to buy something or a part of the world where something is sold”. From this definition we can deduce three important elements: the existence of a relation between a buyer and a seller of a specific product, the fact of having place in some specific place, that may be physical, like a city, or simply a street, or virtual, like on the Internet; finally, it is important underlying that a market may refer both to something real, it is a real relation that is already happening but also something that may happen in the future. In other words, the potential sales of a product may account for the meaning of market. So that, how can we define correctly the term “market research”. It is a process of understanding the relation between a buyer and a seller of a specific product or service that occur or might occur in a part of the world. It is necessary to add that the market research´s final aim is always to help organizations make decision, i.e. you may work in any organization, in a government, in a service industry company, in a factory or in a finance or human resources department. Even though your function or role may not include the word “marketing”, your organization or department will have customers. The role of market research is precisely to provide information about these customers (real and potential) in order to make the best decision. Gathering information by mean both quantitative methods, such as questionnaire or content analysis, as well as qualitative methods such as in-depth interviews or focus group, are an essential part of the market research process, although not the only one, as we will see into details in future posts.